Court Says Pro-Life Message is "Offensive"
A federal appeals court has ruled that the State of New York may prohibit the issuance of "Choose Life" license plates. A three-judge panel of the 2nd Circuit Court of Appeals decided that plates with the message "Choose Life" could be considered "patently offensive." 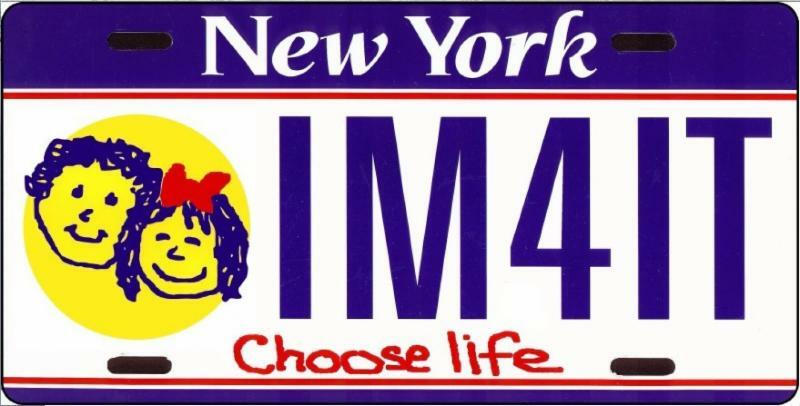 A pro-adoption group called the Children First Foundation had applied to the New York Division of Motor Vehicles for approval of a specialty license plate with the "Choose Life" message. Like similar plates in other states including Missouri, the design of the plate includes a drawing of the faces of a boy and a girl in front of a yellow sun. New York motor vehicle officials denied the application, saying that they wished "to avoid any appearance of governmental support for either side in the divisive national abortion debate." The Department also invoked a policy that allows it to deny plates that are "patently offensive" in their content. Such regulations are usually established to prohibit messages that are obscene or pornographic. The State also claimed their action was necessary to prevent road rage. Officials stated they "will not place an instrument on public roadways which may engender violent discourse among drivers." The 2nd Circuit panel has now upheld that decision in a 2-1 ruling. Judge Rosemary Pooler wrote in her decision that many residents of New York were likely to find the pro-life message "patently offensive." Judge Pooler also stated in her opinion that residents of New York who wanted to communicate their pro-life sentiments were free to affix a bumper sticker to their vehicle. Judge Debra Ann Livingston dissented from the ruling. She argued that the federal court was granting Department of Motor Vehicles officials the authority to suppress any viewpoints they don't like. Jeremy Tedesco, legal counsel for the Alliance Defending Freedom, decried the court's ruling. "The state doesn't have the authority to target [these] specialty license plates for censorship based on their life-affirming viewpoint." "Pro-adoption organizations should have the same speech rights as any other organization," Tedesco continued. "The circuit court has denied free speech in favor of government censorship." The 2nd Circuit decision does not impact the continuing issuance of "Choose Life" license plates in Missouri. The design of the Missouri plate is somewhat different, depicting a young boy and a young girl holding hands. The Missouri General Assembly adopted legislation during this year's session which will dramatically increase funding for alternatives to abortion programs. 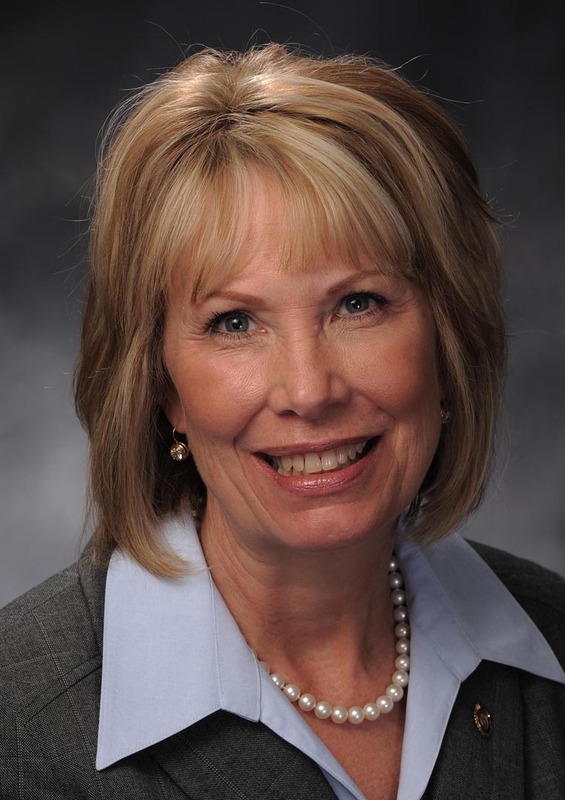 The authorization for enhanced funding for abortion alternatives efforts was included in a bill which overhauled the state's major public assistance program. The bill adopted by the Missouri Legislature, Senate Bill 24, was known as the "Strengthening Missouri Families Act." It was sponsored by Senator David Sater of Cassville, and handled in the House by Representative Diane Franklin of Camdenton. The legislation revised Missouri's Temporary Assistance to Needy Families (TANF) program. That form of public assistance is most commonly referred to as welfare benefits, and used to go by the name Aid to Families of Dependent Children (AFDC). The most widely reported change contained in the bill was a provision that scaled back the period of time in which a person can receive TANF assistance. The bill reduced the lifetime limit for recipients of TANF benefits from 60 to 45 months. A lesser noted section of the bill established that 2% of block grant funds received from the federal government for TANF assistance shall be dedicated to the state's alternatives to abortion services and public awareness programs. That means that approximately $4.3 million in new annual funding will be available for alternatives to abortion programs. Sam Lee, director of Campaign Life, observes that that amount is twice the level of funding ever appropriated by the state for abortion alternatives services. $2.1 million in state funds were allocated to these programs in the current year's budget, and in the budget approved for the coming fiscal year which begins in July. Lee was a major advocate for the enhanced pro-life funding. The Missouri Senate approved the "Strengthening Missouri Families Act" by a vote of 25-8. The House endorsed the measure on a vote of 115-44. Governor Jay Nixon vetoed the bill on April 30th. 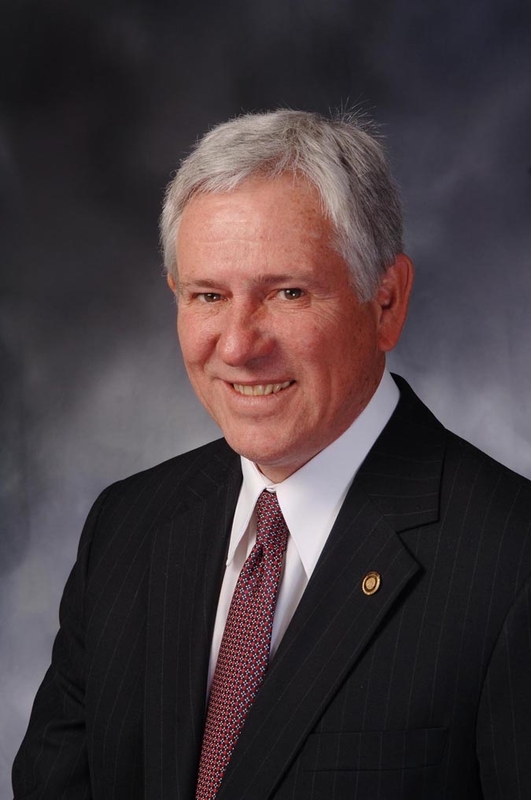 However, both chambers of the General Assembly voted to override Nixon's veto in early May, and Senate Bill 24 will become law later this year. The Missouri Alternatives to Abortion Services Program was first established in 1997. It covers a range of pregnancy support services offered to qualifying pregnant women and their children up to one year after the birth of the child. The state customarily contracts with pregnancy resource centers and other maternal health providers to deliver the services. Services financed by the program include prenatal, medical, and mental health care; child care, newborn, and infant care; food, clothing, and pregnancy related supplies; parenting training; housing and utilities; transportation; and educational services. During the 2014 fiscal year, services were provided to a total of 1,511 women and their children. The Missouri Alternatives to Abortion Public Awareness Program provides information concerning non-profit agencies in Missouri communities that offer support to women with unintended pregnancies. The program operates a state website that provides links to local crisis pregnancy centers, maternity homes, and adoption agencies. 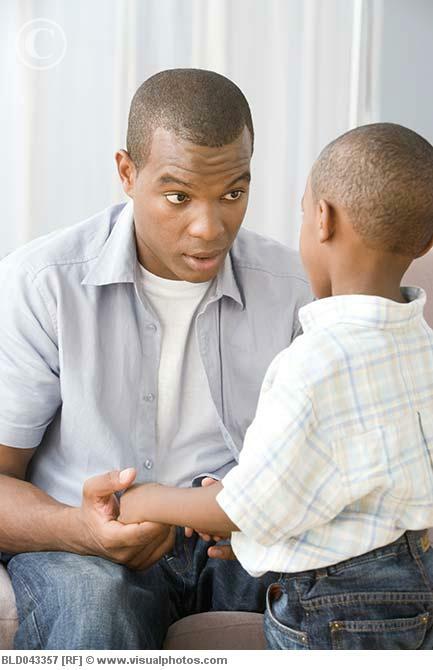 Another favorable provision in the bill calls for a similar 2% (another $4.3 million) of the federal TANF block grant funding to be earmarked for programs promoting healthy marriage and responsible fatherhood. These programs were created as a component of the major welfare reform law passed by Congress in 1996. Those funds can be used for pre-marital education, marriage skills, marriage mentoring, and divorce reduction programs. Funds can also be expended for parenting skills training, and counseling programs to combat domestic violence and child abuse. 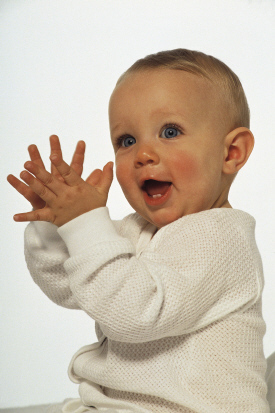 The Fiscal Year 2016 state budget also includes $14 million in funding for a new program called Show-Me Healthy Babies. The program provides health insurance to pregnant women who do not qualify for Medicaid but cannot afford private health care coverage. Sam Lee points out that lack of health insurance prompts some women to believe they are financially unable to give birth to and raise an infant child. We appreciate the leadership of Senator Sater and Representative Franklin and many other lawmakers for winning support for these valuable pro-life and pro-family initiatives. We thank all those legislators who voted for these provisions.